a new line of rustic elegance is being added to my etsy store! 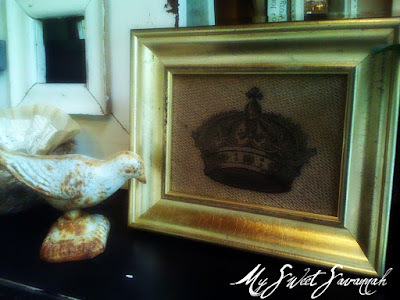 I am pairing elegant frames with rustic burlap, no glass, and a fabulous image in black to create a gorgeous piece of art! 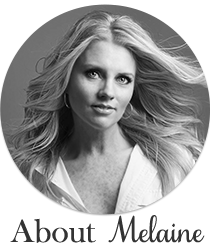 Can't wait to see what else you make! Perhaps a chandelier?! I just love that!!! Great idea! Can't wait to see more. 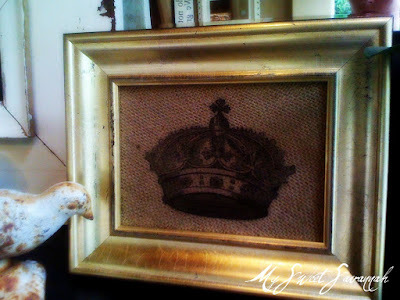 What a great juxtaposition of the more formal gold frame paired with the informal burlap. I like it. wow - great - love your taste!